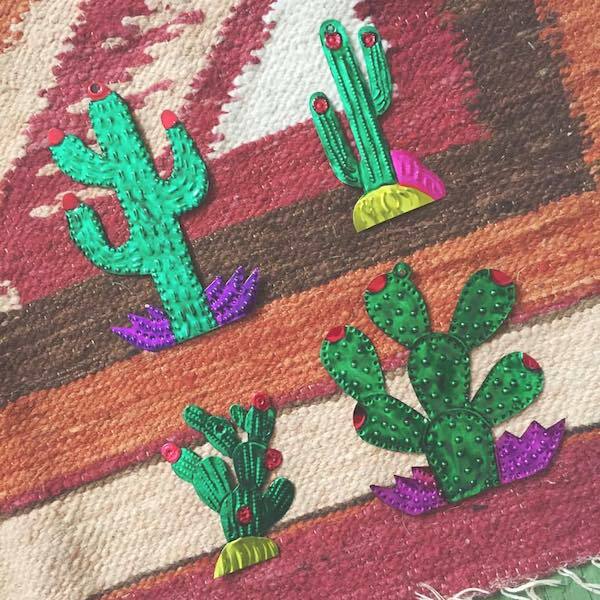 I dropped some of these Mexican punched tin cactus ornaments off at Indie South's Prince Avenue shop here in Athens, and kept a set for myself. I might hang them somewhere in my office year-round! For friends who live outside of Athens, I rounded up some of my favorite cactus ornaments below. Enjoy!